The first job for any business, as the great guru Peter Drucker once noted, is getting and keeping customers. Whether you call this marketing, selling, customer relations or external communications, this, as we like to say, is where the money comes from. 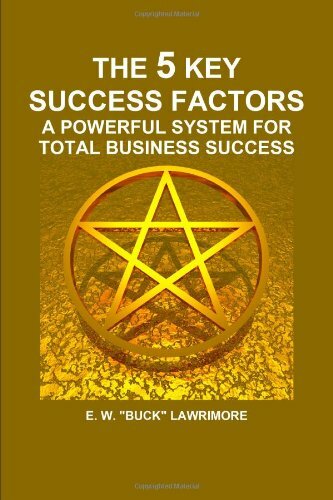 This is also the area where we have had the most personal experience, and we have written more on this topic in our book, The 5 Key Success Factors. But for now we’re going to focus on the really, really important components we should all keep in mind and practice if we want to be successful. 1. Managing Customer Value. 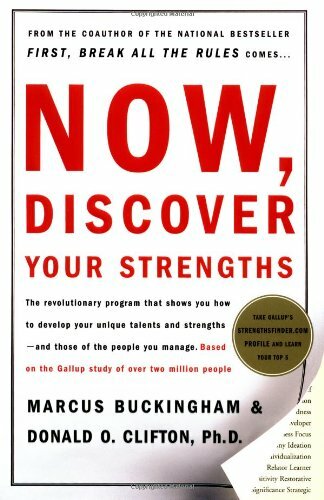 If you haven’t read the marvelous book by that name (see link below) by Bradley Gale, I highly recommend it. It has had a huge impact on the marketing profession and my practice. “Customer value” is the whole package of what customers want from you — generally some combination of quality, price and service, but always uniquely expressed by each customer or market segment. “People” are the key to business success, as all us people know. But “people” as a success factor is like the weather – everybody talks about it, but no one does anything about it. 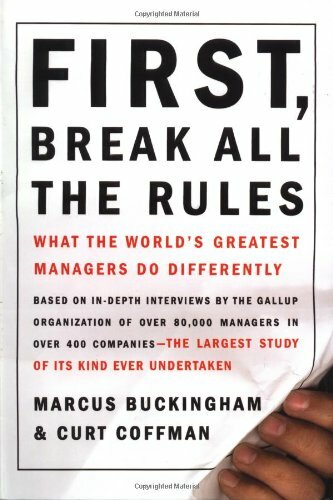 Since our previous post reported the impressive people-management principles of First, Break All The Rules, we will try to share with you added-value content we’ve gained from experience, as we continue our series on the 5 Key Success Factors of Business. 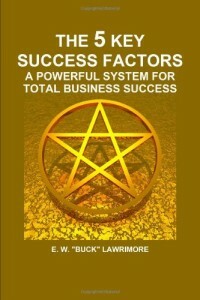 Over the years we have devoted countless hours to exploring answers to the question, “What are the most important success factors that enable one organization to succeed while others stumble or fail?” For at least the past 20 years, specifically since Tom Peters’ In Search of Excellence in the early ’80s, thousands of other authors and consultants have attempted to answer that question, too. The challenge, of course, is to identify success factors that really make a difference and that will stand the test of time – not be the fad of the moment. Why don’t more people do what they know they ought to do? This is not meant as a moral question, as asked by the Apostle Paul, but a business question that challenges every manager and leader. It’s one thing to give people knowledge, and quite another to get them to turn that into action. That question was a particular challenge to Jeffrey Pfeffer and Robert Sutton, prominent professors at Stanford Business School. 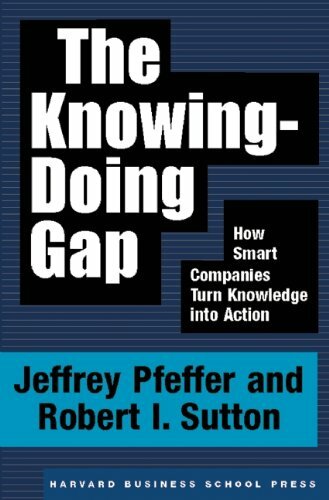 Together they recently completed The Knowing-Doing Gap: How Smart Companies Turn Knowledge Into Action (Harvard Business School Press, 2000). *People talk about the problem but never take action. In fact they talk so much they sometimes don’t even realize that they’re not taking action. *Memories of “the way we do things” and other traditions rooted in the past keep people from thinking of new and better ways. Buckingham and Clifton have identified 34 themes from the extensive research which led to “First, Break” as well as other sources over a 25-year period. They used advanced statistical techniques to pull these themes from their enormous data pool so they, and we, could be confident of their significance. What’s really neat about their system is it was designed to be administered over the Internet. When you buy the book, you get a unique code. 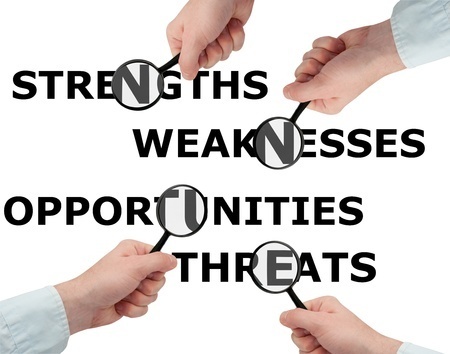 You log on to www.strengthsfinder.com, enter your code, and answer a series of questions. The program identifies your five top themes, in descending order, with the strongest first. “The Managing-Leading Edge” was originally a series of newsletters produced by Lawrimore Inc. President Buck Lawrimore around the early 2000’s. Most of this information is indeed “leading edge” and just as relevant today as it was then. So enjoy your reading and get a quick shot of some of the best business books written in recent years! 1. What the World’s Greatest Managers Do – Results of a worldwide expert study.